Thirteen-year-old Clare Silver is stuck. Stuck in denial about her mother’s recent death. Stuck in the African jungle for sixty-four days without phone reception. Stuck with her father, a doctor who seems able to heal everyone but Clare. Clare feels like a fish out of water at Mzanga Full Primary School, where she must learn a new language. Soon, though, she becomes immersed in her new surroundings and impressed with her fellow students, who are crowded into a tiny space, working on the floor among roosters and centipedes. When Clare’s new friends take her on an outing to see the country, the trip goes horribly wrong, and Clare must face another heartbreak head-on. Only an orphan named Memory, who knows about love and loss, can teach Clare how to laugh with the moon. This is another book that I likely would never have picked up if I wasn’t doing my read around the world challenge. Set in Malawi (which prior to this I only knew through mentions of it on Grey’s Anatomy) it is the story of a teenager who goes (against her will) with her father who has volunteered to be a doctor there. He had previous spent time there when he was younger and wanted to go back. In the beginning Clare drove me nuts and I couldn’t help but feel that she was acting like a spoiled brat. It wasn’t until about mid-way through the book that you found out a lot about what had happened to her in the previous year and felt kind of sorry for her. In the end, my perception of both her and her father changed – I ended up liking her a bit more, but felt that her dad was a bit self-obsessed and couldn’t see that his daughter was suffering. You could tell just from the reading and the vivid portrayal of life in the country that she had spent time there which was confirmed by reading her bio after the fact. This would be a really good book to teach in a classroom because of the life-lessons that are illustrated in the book. 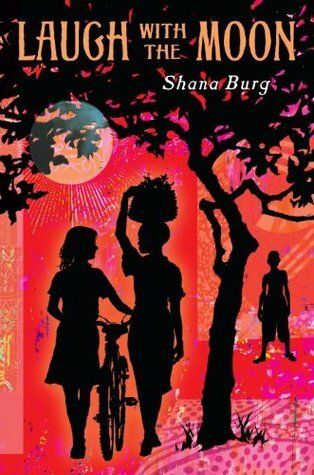 The rise of YA fiction set in Africa and other countries makes for a wide variety of books that could be used in the classroom. I would recommend this to anyone who wants to read about Africa, or who wants to get their kids involved in reading about kids in other countries. 3.5 stars overall. In the beginning Clare drove me nuts and I couldn’t help but feel that she was acting like a spoiled brat.